If Europe were a collection of art and culture, France would be its premier exhibit. The museums of Paris display masterworks of Western Civilization that inspire Parisians and visitors from around the globe. 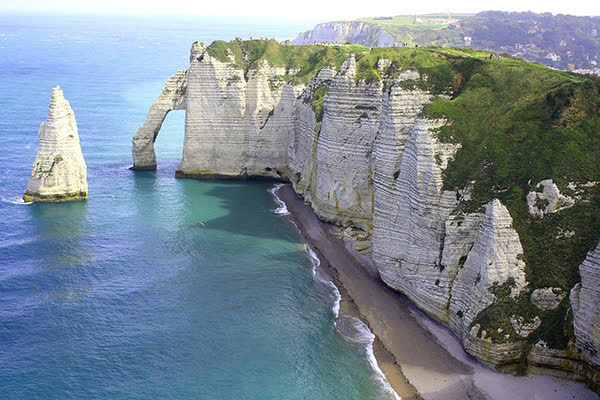 The shores of Normandy evoke a deep and humble connection to the contemporary world. Medieval castles in the Loire Valley represent exuberant nobility in their extraordinary architecture and gardens. Half-timbered villages reflect images from storybooks that come to life. 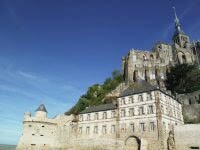 Your custom tailored France tour immerses you in the splendor of France, a country brimming with inherent treasures and known for its expressive culture. Paris is a city that exudes culture and imagination. Lush trees shade wide boulevards. Parisians fill cafes and spend time watching the city pass them by. Museums house notable paintings by artists who have spent their time gaining inspiration in the bars, cafes, and the cobblestone streets of the city. Bakeries fill their windows with the pastel colors of freshly baked macaroons. Verdant gardens provide a touch of countryside ambiance in the rush of the world-famous city. Your private transfer greets you at Charles de Gaulle International Airport and escorts you to a luxurious hotel located in the heart of Paris. Enjoy a brief walking tour before dinner to take in the exciting monuments that are close to your hotel. In the evening, the city radiates with light, living up to its moniker, “The City of Lights.” The Eiffel Tower, the iconic image of Paris, shimmers with elegance across its entire 906-foot frame. The tower was erected in the 19th century as the entrance gate to the World Fair, located on the Champs du Mars. A single beam continues to shine from the tower’s pinnacle. 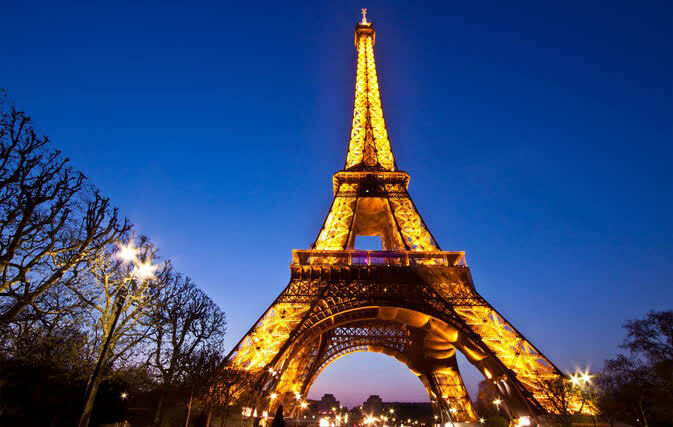 Consider learning more about the best Paris tour companies, and discover how they are able to craft an itinerary befitting of your dream France vacation. In the morning, the historical markets of Paris open their doors to the city. With 69 open-air markets and 13 covered markets, Parisians have their choice of purveyors based on the neighborhood and the quality of goods. The covered market of Les Enfants Rouges is the oldest covered market in Paris, established in the 17th century and located in the third arrondissement. After breakfast, your guide meets you at the hotel and escorts you through the city’s history in the Ile de la Cité. The 12th-century cathedral of Notre-Dame de Paris towers over the encircling Seine River. The tallest spire reaches a height of 300 feet. The two towers that adorn the southern facing façade flank the elegant rose window. Gargoyles protrude from the roof, overlooking the flying buttresses. A relief of the Last Judgment decorates the Tympanum. People stroll along the cobblestone streets of the Latin Quarter. Restaurants fill the neighborhood with the scents of rotisserie chicken, melted cheese, and fresh seafood. Couples stroll beside the Seine River on the cobbled bank. At the church of Sainte-Chapelle, you discover a world of color. Spectacular stained glass windows decorate the 13th-century chapel. When the sun casts a light over the windows, the upper level of the interior glows with light. The ceiling intermixes gilded frames with navy blue paint, imitating the night sky. 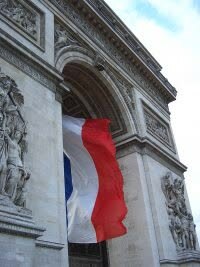 The Arc de Triomphe crowns the famous boulevard of the Champs Elysees. The street stretches for more than one mile with a width of 230 feet. The Arc honors those who have fought and died for France during the French Revolution and Napoleonic Wars. The elegant 19th-century frame pays homage to the classical Roman arches that commemorated victory in battle. After breakfast, your guide escorts you through the inspiring streets of Paris to the Louvre Museum. King Philip II laid the foundations of the fortress during the 12th century. Remnants of the original grounds are visible in the lower galleries of the museum. 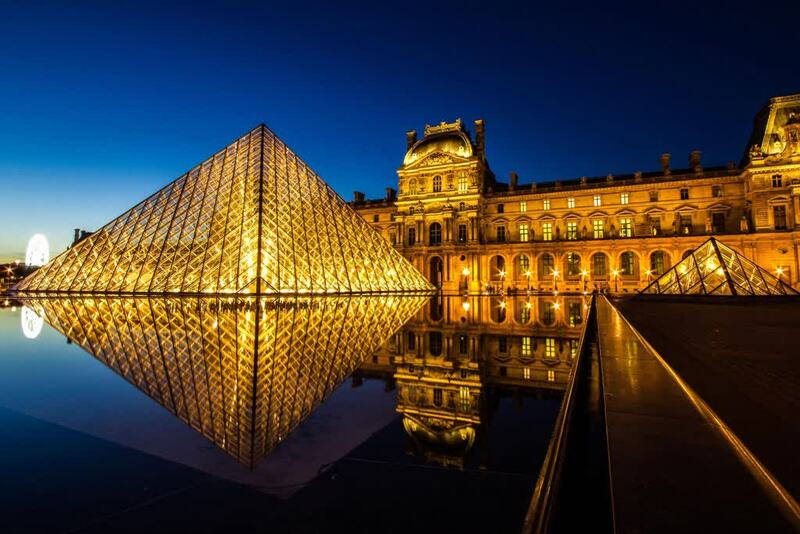 The Louvre contains more than 35,000 objects, from prehistoric artifacts to 21st-century art, displayed over an area of 652,300 square feet. Follow your guide through the labyrinthine halls of the galleries, including the Venus de Milo. The ancient Greek statue was created in the 2nd century BC. The marble figure reaches a height of nearly seven feet tall. A graceful robe drapes across her lower body. The treasures of the museum continue, depicted in the galleries containing the Mona Lisa and Liberty Leading the People, along with an exhibit focusing on the Code of Hammurabi. Chocolate lovers roam through the streets of Saint-Germain-des-Prés in the sixth arrondissement in the morning. Over two-dozen chocolateries and patisseries create elaborate window displays featuring truffles, bonbons, and pralines. The decadent treats and their enticing aroma offer a touch of sweetness to the morning air. After breakfast, your guide escorts you to the gates of the Chateau de Versailles, the former residence of the French monarch. The estate was originally built as a hunting resort for King Louis XIII and soon became a dazzling display of French prestige. 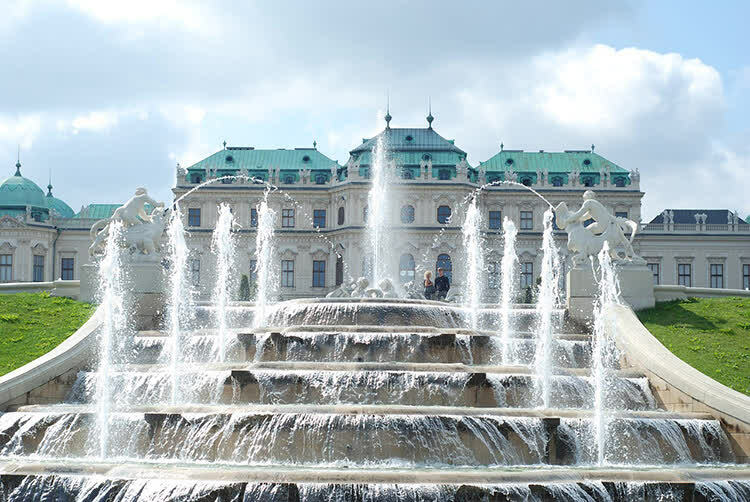 The Baroque façade sets the tone for the grounds. Once inside the halls, you step into the exuberant lifestyle of royalty. The Hall of Mirrors exemplifies the wealth of the monarchy and their guests. The gallery is nearly 240 feet long and contains an array of massive mirrors, creating an ensemble of more than 300 segments. Crystal chandeliers dangle from the ceiling and gilded statues line the walls. The sunlight pours through the windows and reflects off of the mirrors, causing the entire room to shimmer with light. The passage connected the King and Queen’s apartments. The pink marble of the Grand Trianon Palace shines in the gardens. Manicured hedges rise above the geometric shapes carved into the grass. The Grand Trianon Palace stands on a raised terrace with colonnaded arcades, accentuating the beauty of the marble, the gardens, and the grandeur of Versailles. In the morning, you indulge in a rich espresso accompanied by a buttery and freshly baked croissant. The flavors and aromas of Paris are alluring. The pearly façade of Sacre Coeur overtakes the skyline situated atop the hill of Montmartre. After breakfast, you leave Paris behind for the unique grounds of Chateau de Guédelon. In Treigny, France is attempting to recreate a 13th-century castle using only medieval techniques. Architects, engineers, and construction workers use only period tools and some even don costumes, relying on locally obtained wood and stone. Chateau de Guédelon was designed after the castles of Philip II of France. Vibrant forests surround the structure. The sounds of hammering and metal clanking against anvils echo throughout the work site. The foundations were set in 2004. The structure has taken shape through its encircling ramparts and circular towers. You immerse yourself in the 13th century, watching the builders move brick, set mortar, and even carve graceful images into the stones to decorate the forthcoming structure. 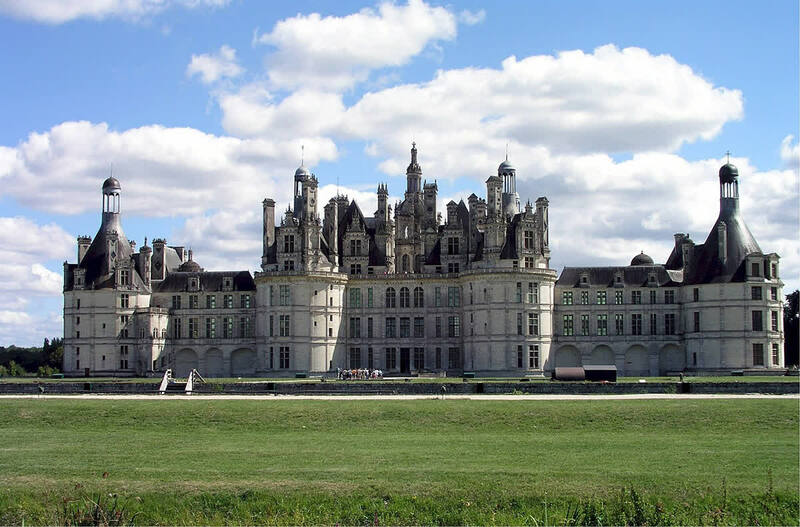 The Loire Valley is known for its stunning castles and beautiful fairytale landscape. French kings created a region of luxury and opulence rising from the lush riverbanks nourishing the area. The result was a collection of unforgettable chateaus and royal gardens. Today you visit the stunning Chateau de Chambord, a majestic 16th-century estate encompassing nearly 13,591 acres. A long wall with six gates encircles the property. The turrets and vaulted ceilings adorn the structure. The chateau contains 440 rooms and 365 fireplaces, along with a notable double staircase located in the entry hall. The stairway has a double-helix design and acts as the centerpiece to the chateau. The two stairways twist around one another, ascending three stories of the castle without once meeting. The first floor of the royal wing contains the former lodgings of Francois I. The sculpted vaulted ceilings add an extra layer of luxurious embellishment. In the morning, the sunlight washes over the lush plains of the Loire Valley and glints off the serene waters of the various rivers. After breakfast, you make your way to the exquisite 16th-century Chateau Chenonceau for a tour of the grand estates. The castle straddles the River Cher, utilizing the water to create a moat. An arched bridge connects the grounds to the luxurious edifice. Catherine de Medici created the gardens and Corps de Logis gallery, a term referring to the palace’s principal block. Rib vaults cover the hall. The smooth stones create a comfortable effect. Armed men once filled the Guards’ Room. Upon entering the room, you witness stunning historic tapestries depicting royal scenes. The stained glass windows in the chapel are thin and tall, telling tales of the New Testament. The polished white stone shines with simple elegance. After your tour of the chateau, you continue to the enchanting town of Amboise, located on the left bank of the Loire River. Large forests encircle the town. The dramatic Amboise Royal Chateau towers over the serene homes. You can hear the river rushing against the banks of town. Clovis I originally constructed the foundations of the castle in the 6th century. The estate gave residence to Leonardo da Vinci during his final years. Today you step away from the Loire Valley and follow your guide to Brittany, a region bounded by the sea and decorated with quaint fishing villages set along the Atlantic coastline. The verdant trees and grasslands of the Loire Valley lead you to the medieval villages and continued storybook castles of the Breton countryside. The Celtic influence is noticeable in the myths, legends, and history of the region, along with traces of Gaelic found in the dialect. Spend some time enjoying the remarkable charms of the town of Quimper. Half-timbered houses lead to pleasant squares. Pedestrian footbridges crossing the Odet River meet cobblestone streets. Place Saint-Corentin in the heart of town houses the 13th-century Gothic Cathedral of St. Corentin. The two towers rise to a height of 250 feet. You continue to the shores of Mont-St-Michel, where you settle in for the evening. Mont-Saint-Michel rises out of the water off the coast of Normandy. A striking abbey adorns the rugged island perched on the highest point. The Gothic spires rise above the water at a height of 508 feet. At low tide, the water washes away from the island shores, allowing people to walk to the mainland. During high tide, the water can rise, creating a difference of 50 feet. Your guide leads you on a morning tour of the island, taking in the tremendous swirling sand of the seafloor and the twisting stone lanes of town. Archbishop Aubert of Avranches founded the Abbaye du Mont-Saint-Michel in the 8th century. The position of the Gothic church creates an inspiring vision. Pilgrims would travel more than 656 feet from the village to the base of the abbey to reach the 350 steps of the Grand Staircase. Medieval ramparts continue to encircle the island base. Walkways along the historic walls offer wonderful views of the town, the abbey, and the sea. After your morning tour of the island, you return to mainland France to witness the treasures of Bayeux. The Musée de la Paisserie de Bayeux houses the 230 foot long Bayeux Tapestry, which depicts the Norman conquest of England. The cobalt waters of the English Channel lap against the gold sand shores of the Normandy beaches. The wind blows across the whitewater spreading along the coastline. The sand gives way to the rugged cliffs overlooking the water. Today your guide leads you on a humbling tour of the coastline, where the Allied forces landed during the D-Day invasions of World War II. On June of 1944 at Pointe du Hoc, American Army Rangers scaled the dramatic cliffs. The promontory rises 100 feet above the English Channel and remains the highest point between Utah Beach and Omaha Beach. German concrete casemates and gun pits peppered the region, providing a panoramic view and the high ground for the German forces. The battle-scarred landscape remains, providing insight into the forces of war and the preservation of the memorial to commemorate those who fought on the 29-acre field. A pathway encircles the area for elevated views of the pockmarked grassland, along with the remaining bunkers and gun pits. The quiet breeze carries the scent of the sea across the landscape. Normandy’s strategic location has filled its shores with historical battles, from World War II to the Norman conquest of England, which inspired the famous Bayeux Tapestry. The rugged beauty of the region evokes awe and inspiration, from the cliffs overlooking the beaches to the enchanting fishing village of Honfleur. After breakfast, your guide escorts you to the serene town of Giverny, home to Monet’s Gardens. Giverny is located near Normandy’s southern border. Like Monet’s stunning portrayal of the gardens, you discover the balance of overgrown grass tufts and exquisite water lilies creating a perfect portrait. The family settled in the town in the late 19th century near an orchard enclosed by a high stone wall. Monet married flowers according to their color combination and allowed them to grow freely. Willow trees have branches dangling over the precious pond, rippling the stoic water. The famous Japanese bridge arches over the pond and beneath a string of blossoming flower petals. By visiting Giverny, you are walking through the images captured and cherished by the master painter. Paris feels familiar and inviting in the morning. The movement of Parisians along the wide avenues and historic cobblestone streets energize you. A small bakery in Montmartre provides hidden views of the city’s rooftops. The art-deco metro station at the base of the hill commemorates the neighborhood’s connection to world famous artists. The window displays at Cartier and Tiffany’s glint with precious gems along the Champs Elysees. Locals and visitors search for Angelina Café, Audrey Hepburn’s favorite café in Paris. After breakfast, your private transfer meets you at the hotel and escorts you to Charles de Gaulle International Airport for your flight home. As the plane ascends, you have one last view of Paris, knowing that you will return to France soon.